If you’re thinking of visiting Disneyland or Walt Disney World this summer you better keep your selfie stick at home. That’s right, the Happiest Place[s] on Earth have officially banned everyone’s favorite techno-panic of 2015. “We strive to provide a great experience for the entire family, and unfortunately selfie-sticks have become a growing safety concern for both our guests and cast,” Disney World spokeswoman Kim Prunty told the Orlando Sentinel. Now, even though the outrage over selfie sticks is objectively dumb, Disney really does seem to have a good reason to ban them. In what some might consider strong contenders for the Darwin Awards, many people have been using them on fast-moving rides. As you can imagine, that’s just asking for trouble. Splash Mountain is a lot less fun if you’re impaled by your own selfie stick. 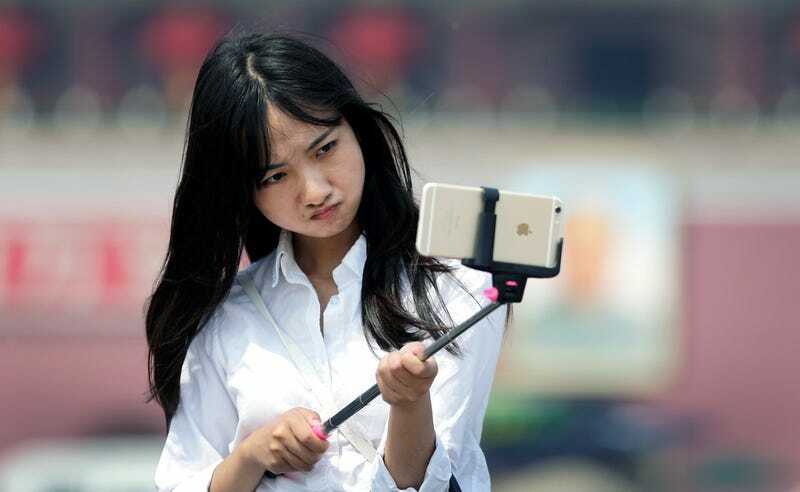 Disney’s Parks in Paris and Hong Kong will also begin banning selfie sticks in July.